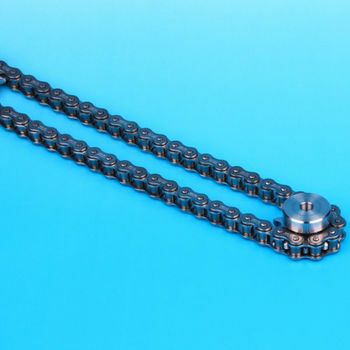 Hitachi Metals Techno's roller chains are the most popular and widespread in transmission engagement use.This product is safer and has a longer lifespan than other chains currently in the market. In Tokiwa we are an official provider and agent of Hitachi Metals Techno,Ltd. Thus, we are ready to supply any product quantity you may need at any time. So please, do not hesitate to contact us! 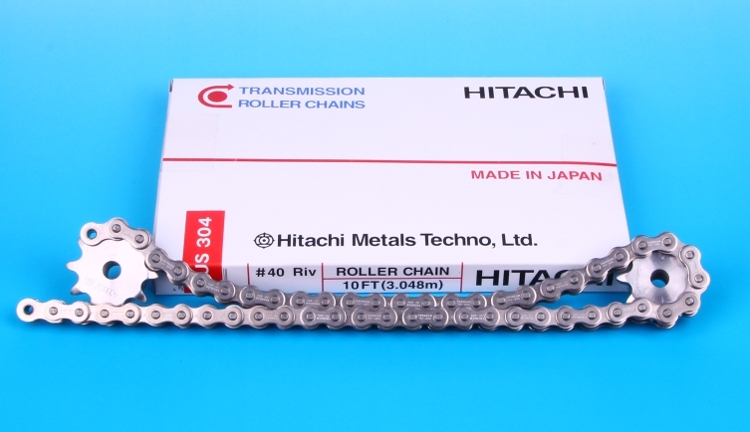 Hitachi Metals Techno's roller chains are highly realiable due to their high quality. There won't be any slip while running since the chains are caught in sprocket. The power will be perfectly transmitted. 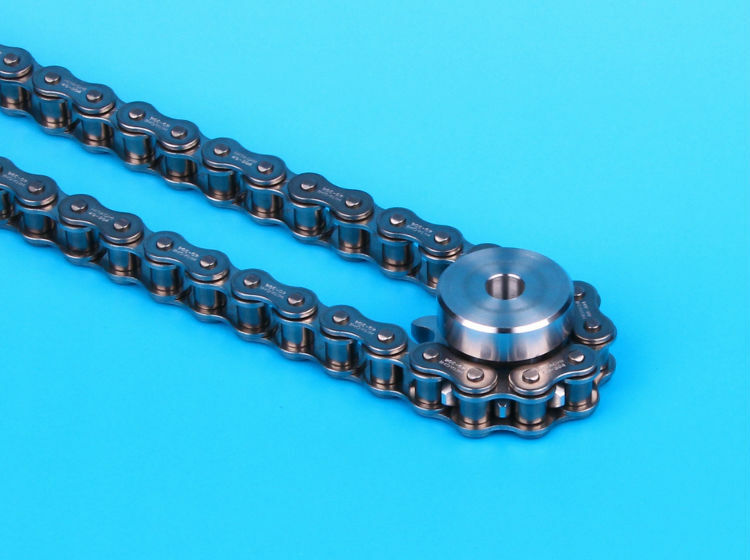 Hitachi's roller chain includes SBR (Solid Bushing & Roller) technology. There is no seam nor ridge on bushing and roller parts, providing outstanding resistance against initial elongation and wear. The maximum allowable load (fatigue strength) is MAX 32% UP!! 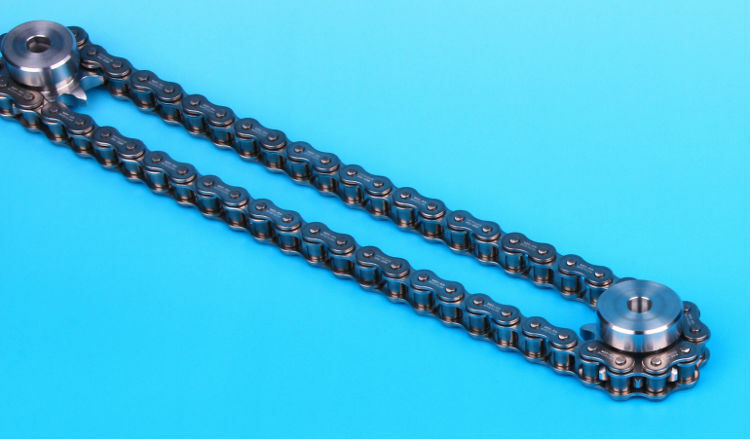 It can be used in both low and high speed running mode as a basic transmission roller chain. 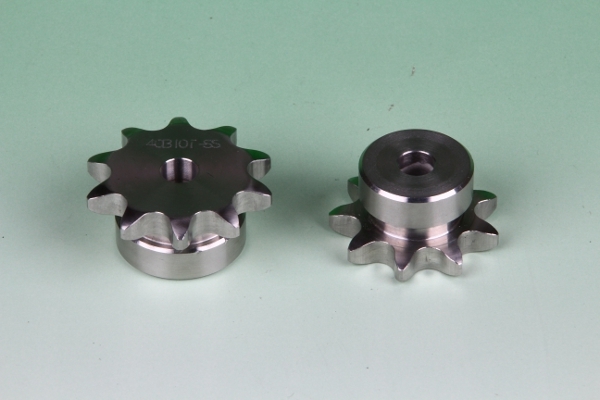 We can also provide the sprokets together with the chain. So please, contact us and let us now your needs so we can provide the best service possible!